PROMOTES WEIGHT LOSS: Made with smart heating latex-free Neoprene that increase body temperature, stimulates sweat by up to 3 times with physical activity to help speeding up the calorie burning process and reducing body fat. ACHIEVE NATURE SHAPE: Firmed and flatten tummy, slims, trims and smooth your waistline and eliminate unsightly back rolls, muffin top and other bulges instantly without squeezing or causing discomfort. COMPRESSION & SUPPORT: Well Stitches, More Fastness. Compression slimming vest provides light support for your muscles and higher abdominal compression and lumbar support, making you stand taller, look more confident and help correcting posture. PERFECT EQUIPMENT FOR SPORTS: It is the best fitness equipment and perfect for all kinds of workout in the gym and outdoor. You can wear it to enjoy exercising sports or just wear it at home while performing daily tasks. For better results, wear it while you are exercising. Smell: The smell of Neoprene is normal and easy gone after a few times washes, It`s normal and have no danger. Size: Please choose the size according to our size chart instead of Amazon size. Don't refer to the review. The size chart of this sweat vest is on the last pictures. Material: 70% Neoprene, 15% Polyester, 15% Nylon. Highly breathable fabric helps circulates air in your body to stay dry on the outside, keeping you fresh and cool while retaining body heat to perform longer and you won't feel over exhausted. Shape your body: Scientific design and compression help you correct posture, flatten abdomen, firm tummy, beer belly, it`s helps you reach your fitness goals faster and easier. Sweat More: By preserving your body heat and heating up your muscles, the neoprene Slimming Vest makes you sweat triple than usual with physical activity to help speeding up the calorie burning process and reducing body fat. Smooth and Comfortable: No zipper, smooth, lightweight, stretchy fabric make you feel comfortably while performing any activity. 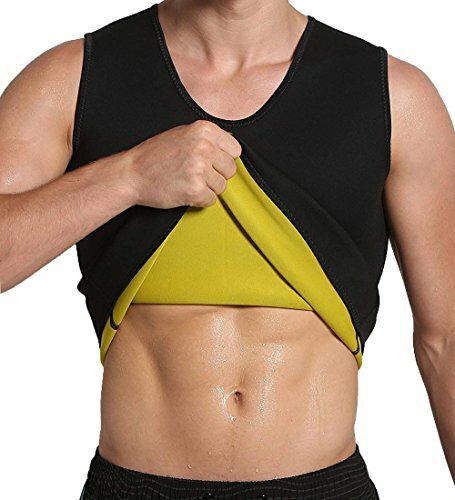 It perfectly matches with any combination of workout tops or can even be worn under everyday clothes, and also can be taken off very easily. Special Note: This vest was designed to help you sweat more and loss weight quicker, so the size is not as your daily clothes, we suggest you to choose the right size according to the waist size, and there has various size for you to choose. If you have any questions about this product by Nowus, contact us by completing and submitting the form below. If you are looking for a specif part number, please include it with your message.